Not everything makes it into an episode of NW NERD Podcast. Some interviews never emerge as features, or some discussions stray way off topic. But we saved them and present them to you here. These are the cuts from Season 2 of NW NERD. Dyer's story about waiting for hours in line to see the first "Twilight" movie; a comic and hobby shop owner talks about how Dungeons & Dragons is very different these days; and a scientist discusses everything from the eclipse to ghost towns. How and why has such a cult fandom emerged from the Northwest in the form of Funko, a toy and collectible company in Everett , Wash.? Episode 44 - What's your guilty pleasure? Andrew and Genevieve from "After These Messages Podcast" join Nick and Dyer to discuss guilty pleasures. We all have that one TV show, band, book, or other media that we don't admit that we enjoy. Perhaps a quite unique, and odd, hobby (like Dyer has, but doesn't talk about). The group reveals some personal guilty pleasures ... much to their own embarrassment. Starting with one recently-released show that Nick is slightly ashamed he watched. Old media. New media. Same old problem. Online streaming service Twitch has updated its community guidelines in response to issues of harassment and hate. Twitch streamers Luna Lyrik, Tha Buttress, and Tygarlily, and radio personality Colleen O'Brien discuss the experience of being women in media. Also, Steve James and Justin Hunt explain why their event, the Washington State Toy and Geek Fest, is different than the usual comicon. 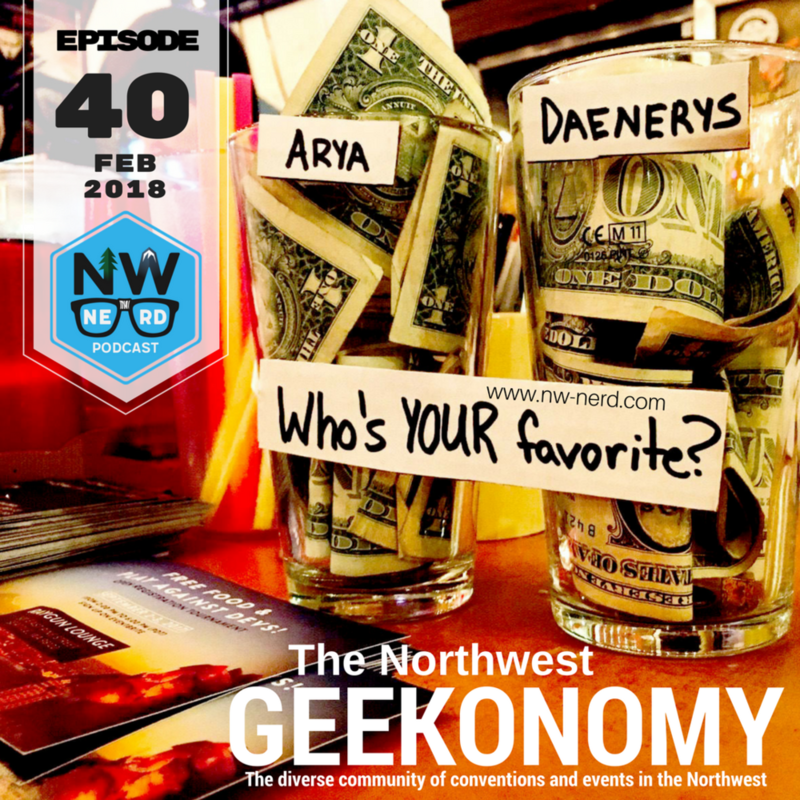 Nick and Dyer also discuss the great Northwest cyrptocurrency secret; where Seattle's DOTA 2 tournament is moving to; and Washington's net neutrality law. And a special Superman quiz in honor of Action Comics 1000. NW NERD gathers a panel of cosplayers and convention organizers to discuss issues surrounding a recent incident in Pasco, Wash. It evokes conversations about what is appropriate with cosplay. Where is the line between family-friendly, and the provocative costumes we emulate? Controversy erupted in February at RadCon – a convention in the Tri-Cities – when organizers changed dress codes and cosplay rules. Things got worse when one organizer recommended on Facebook that cosplayers not dress like "prostitutes.” RadCon's Eric Colbert explains what happened behind the scenes, what organizers learned, and clarifies why they were messing with the cosplay rules in the first place. Jerikandra Cosplay, Babs Cosplay, and Brian Morris (a cosplayer himself) with Renton City Comicon discuss the cosplay scene, and how cosplayers navigate conventions. 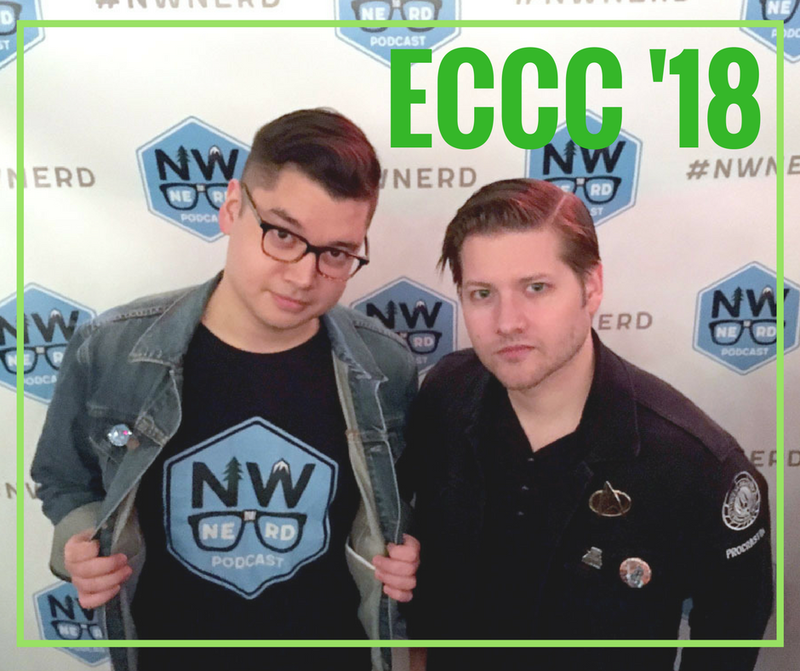 Nick and Dyer recap Emerald City Comic Con 2018, including their cosplay contest and after party at the Raygun Lounge where some very impressive cosplayers showed off their hard work. Some special thanks yous are due, including: a mysterious benefactor; judges tyty cosplay, Miss Miniver, and Ve'Loria Solo; and our generous prize sponsors TAP Plastics, Pacific Fabrics, Pink Gorilla Games, Outsider Comics, and Lead by Example. In the second half of the episode, the two review Netflix’s Altered Carbon and question why it left so much of its potential on the table. In a special bonus episode of NW NERD, we return to our dating / relationships panel from episode 38 -- Jay Edidin, Stacy Rost, and Harris O'Malley aka Dr. Nerdlove. There were a few more listener questions we didn't get to and they have some advice to relate. This bonus episode comes just as Emerald City Comic Con takes over Seattle, so take a listen while you're walking the floor. The Northwest is home to a community of conventions. From horror festivals to sci-fi conventions, anime parties and renaissance fairs – it’s all here. The conventions and all the activity around them has created a “geekonomy” -- an economic boost for local businesses. Victoria BC is the latest city to get in on this geekonomy and it has the nerd cred to pull it off. Also, why Tacoma’s newest park is dedicated to the author/creator of “Dune.” Washington lawmakers are preparing for a future with flying cars … seriously. Nick gets grilled with a quiz about sci-fi writer Frank Herbert, and pays off his bet from the last episode (he had to watch “Gilmore Girls”). SPOILER ALERT: The gang discuss key plot elements of "Black Panther" in this episode. Nick and Dyer are joined by Tim Hall AKA the People’s Critic and That Guy Named John from the About to Review Podcast to discuss "Black Panther." They discuss the themes of the film, including #KillmongerWasRight and how it addresses the relationship between people in diaspora and people still in their homeland. NW NERD gathers a panel of perspectives on dating and relationships. Is it possible to date in a small cosplay community? How can you get a partner more involved in your comic con passion? And what's the deal with Seattle / Northwest men? Harris O'Malley (aka Dr. Nerdlove), Jay Edidin, and Stacy Rost with Single Living Seattle weigh in. News about Game of Thrones showrunners getting into the Star Wars franchise, just in time for the new "Solo" trailer -- what can be assumed after watching that. Also, Washington state's attorney general is suing an East Coast man who used bots to buy concert and sports tickets out from under locals. Special report: Nick and Dyer discuss a controversy at a Northwest convention after it changed its dress codes and costume standards. Why attendees were not happy with the way the new codes were presented, and why the convention felt the need to make the change in the first place. Dan McKeon, a software engineer, crypto owner, and blockchain enthusiast opens up the world of cryptocurrency for novices like Nick and Dyer. A topic gaining popularity, especially as financial markets experience volatility. They start off defining what cryptocurrency and blockchain are before discussing whether you should invest in crypto (you shouldn’t), how cryptocurrencies are a lot like gold, crypto's energy use problem, and much more. Thousands of Americans were notified by Twitter that they interacted with a “Russian troll farm” – tweets designed to irate and an influence ahead of the 2016 election. Dyer … was one of them. Also, Edwin Lindo talks about The Peoples Party and its GoFundMe campaign. The organization raised money to pay for special screenings of Black Panther for Seattle's black youth. Feature: The rise of the computer lab classic Oregon Trail. Nick gets quizzed on Northwest geography / history before paying off the last quiz bet (it involves Cowboy Bebop). Email Edwin Lindo at Edwin.lindo@gmail.com for more information about the Seattle Black Panther campaign. Seattle Met Magazine's Arts and Culture Editor Darren Davis joins NW NERD to discuss the surprising origins of Magic: The Gathering. Magic has roots in the Northwest. Davis chronicled a history on the iconic card game in the January issue of Seattle Met, including the underrated role of men in large cowboy hats and the surprising lack of fantasy art experience in the early '90s. Read Davis' article on the history of Magic here. 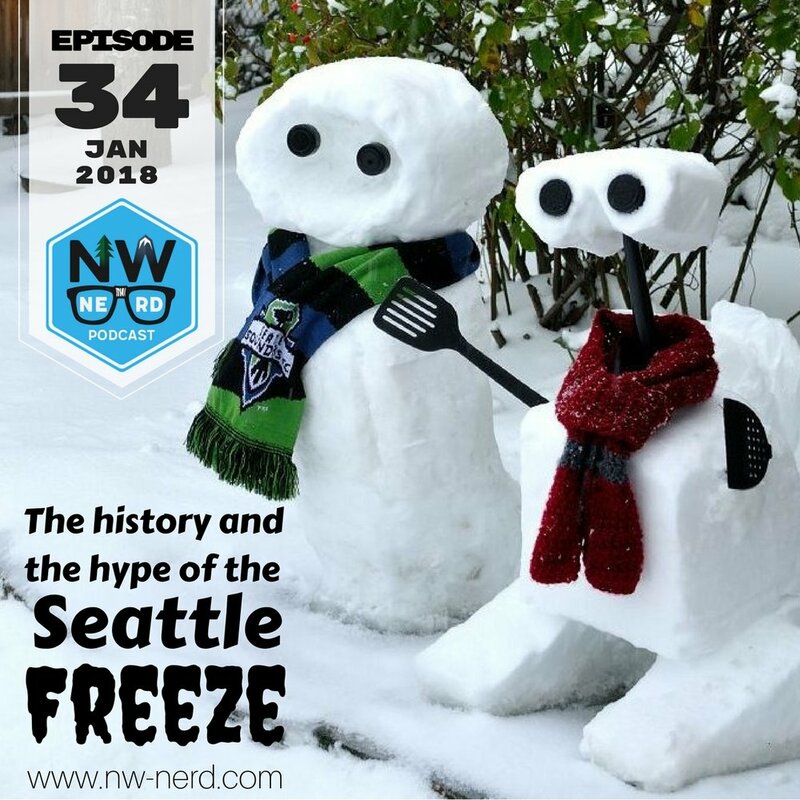 What is the big deal with the Seattle Freeze? Some say it's real and others are offended you brought it up. Are Seattleites really unwelcoming? Is it really that hard to make friends in the Emerald City? Also, a look at the top gadgets from CES, a splashy introduction to Netflix’s Altered Carbon, and some exciting Black Panther headlines. Nick pays off the quiz bet from the last magazine episode by giving his reaction to the show "Supernatural." Finally, can Dyer pass his first quiz on the podcast? Nick Jarin and Dyer Oxley look back on 2017 by shining a light on some of the year's best Achievements in Nerd. They celebrate the moments, stories, and people who made 2017 a marvelous march into the future that won't be eclipsed for ages. Did we miss anything? Let us know on our Facebook (NW NERD Podcast) and Twitter (@nw_nerd). In a special episode, we present some of our most popular feature stories from Season 1. First, Dyer goes inside the Pacific Northwest pinball boom (1:00). Second, we investigate the rise and spread of the term "fake geek girl" (12:40). Finally, we address diversity in Hollywood casting after a string of high profile failures like Ghost in the Shell (29:40). Four features from Season 2 all packed into one episode. Comic book artist/writer/creator Corey Lewis (Sun Bakery, Sharknife) joins NW NERD to discuss the good, bad, and ugly of “Star Wars: The Last Jedi.” What does it mean for the franchise as a whole and how will it rate out of the podcast’s N-E-R-D system? Corey also talks about his latest work, and why he moved from Seattle to Bremerton, which he has dubbed the Pawnee of Washington (which means there’s also an Eagleton nearby). With only a few months to do it, Seattle band The Hoot Hoots decided to take on a mission: write and record an EP as a tribute to Star Wars -- titled The Rainbow Squadron -- while also organizing a Star Wars themed laser show to debut it. The EP would have to be recorded before "The Last Jedi" was released into theaters. One week before their deadline, they hit the stage at the Seattle Laser Dome. This is their story. Also, an interview with comic book artist Chrissie Zullo. She discusses her unique entry into the industry and what she learned from it. Zullo also explains one quirky obsession that she holds. If you had to pick your top three Marvel movies leading up to "Avengers: Infinity War," what would they be? NW NERD is joined by Damien Randle of the Curly Nerd Podcast to count down their top three Marvel films, and one favorite Marvel TV show. What movies stand out? What movies don't?